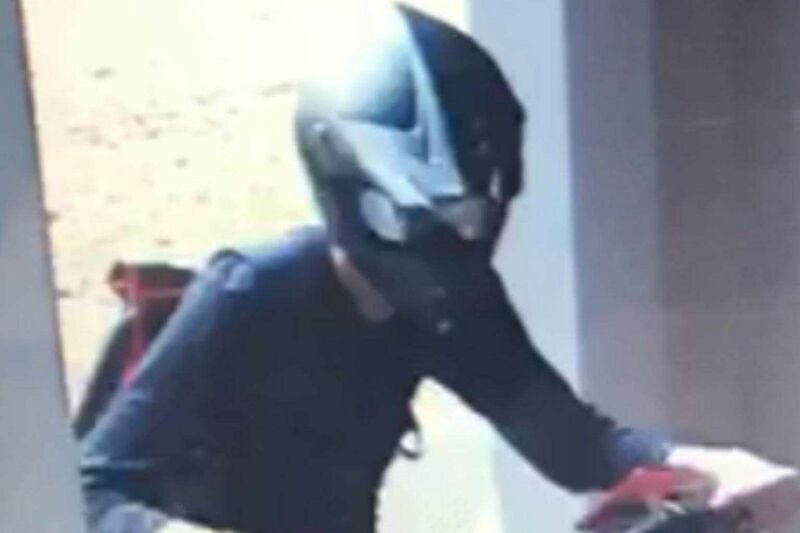 SINGAPORE - Police are looking for a man believed to be the electric scooter rider involved in a hit-and-run accident with an elderly woman in Ang Mo Kio on Tuesday (April 17). An appeal for information was released on Wednesday night, along with two photos of the man. He was said to have failed to provide assistance after crashing into a 65-year-old woman near the lift lobby at Block 538 Ang Mo Kio Avenue 5 at around 5.30pm. Police have classified the incident as a case of rash act causing hurt, adding that they are looking for the man to assist with investigations. Photos show that he was last seen wearing a black helmet, black long-sleeved shirt, knee-length denim pants, slippers and carrying a black and red haversack. On Wednesday, the elderly woman's daughter, Ms Sharon Sim, told The Straits Times that her mother sustained injuries to her hip, leg, arms and shoulders, and had a chunk of flesh cut off on her nose. She had been on the way to pick up Ms Sim's daughter from a childcare centre when an e-scooter allegedly hit her from behind. Both the elderly woman and the rider fell after the collision, but after picking themselves up from the ground, the rider allegedly fled from the scene quickly. Her mother, who wanted to be identified only as Madam Lee, tried to stop the rider from leaving but was unsuccessful. A group of five students came to her aid after they saw her bleeding from her face. Ms Sim had put up a Facebook post on Tuesday to seek for witnesses to help identify the rider. Anyone with information is requested to call the police hotline on 1800-255-0000 or submit information online at www.police.gov.sg/iwitness. All information will be kept strictly confidential, police said.